The Dickinson county board of supervisors voted unanimously today (Tues.) to object to the scoring of the Master Matrix for a 4,400 head hog operation New Fashion Pork wants to locate in Superior Township in northeastern Dickinson county. The vote followed a public hearing that on for more than two hours with a capacity crowd in attendance. Among those addressing the supervisors was Orleans Mayor Bill Maas who was critical of the Master Matrix process. He says anything that can pass by meeting only 50 percent of the scoring requirement is flawed. Maas called on the supervisors to send a message to the state to get the Master Matrix process changed. Jay Moore of New Fashion Pork told the crowd the company has never had any issues with not abiding by master matrix requirements, adding the site meets a “good neighbor” policy that was established years ago in Dickinson county. 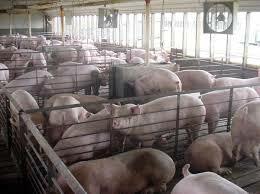 He added he’s confident New Fashion Pork is confident they’ll be able to effectively manage and operate the site. Today’s (Tues.) vote to object to the Master Matrix scoring came on the heels of a 4-1 vote last week by the supervisors to recommend the Iowa Department of Natural Resources deny a construction permit for the facility. The board of supervisors has until January 15th in which to file its objections with the state. Regarding the supervisors objection to the Master Matrix scoring, the county must provide the state with supporting documentation. Any member of the public who would like to contribute such information has until January 5th in which to submit it to the Dickinson County Auditor’s Office. The DNR, which has the final say over livestock and manure management permits, will review that information and decide whether or not the proposed facility will be allowed to proceed. If the DNR overrules the county and approves the permits, the county can appeal the action to the state’s Environmental Protection Commission, which would have the final say in the matter.